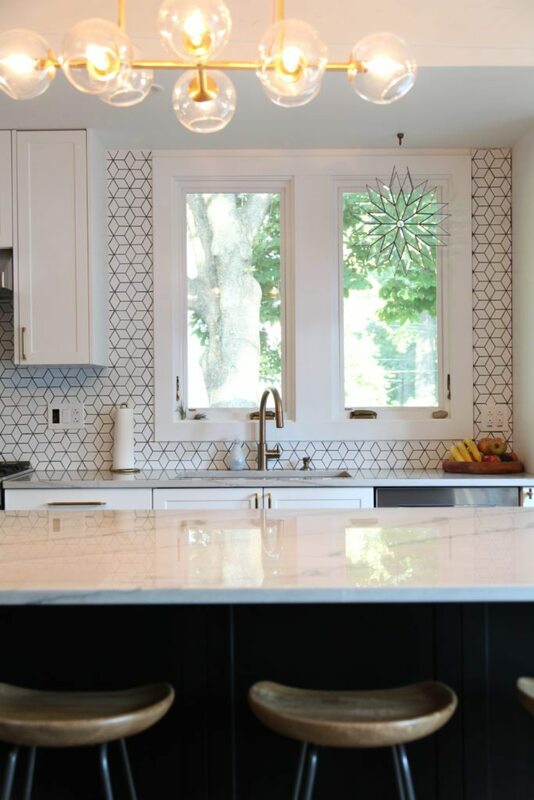 Cool neutrals, white kitchen accessories and marble is out, and earth-toned shades, stonework and concrete accents are in, says Houzz for its 2018 home design predictions. 1. More color in kitchens. 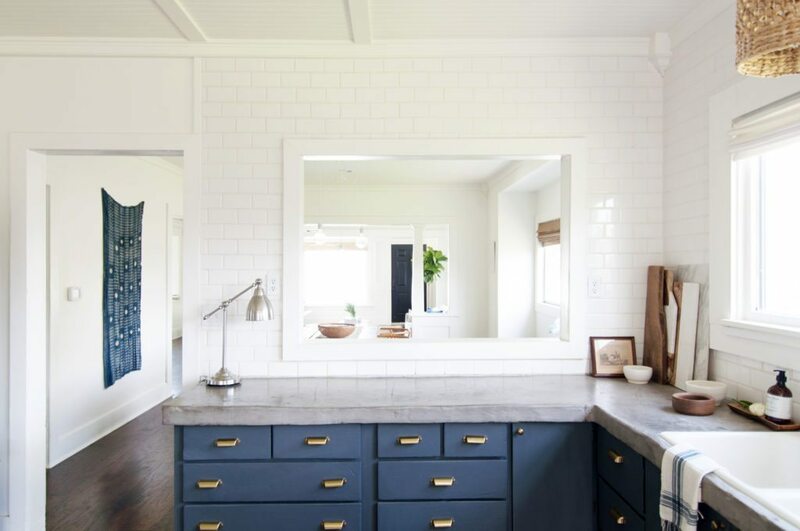 Houzz says white will always be a classic color for kitchen design, but homeowners are expected to throw in bits of color, especially other neutrals like gray and blue. In order to add a little warmth to such a cool palette, designers are ditching painted cabinets for warm wood tones, such as mahogany. 2. Warm colors throughout the home. Last year was all about rich jewel tones matched with cool neutrals, and it seems that 2018 will signal the shift to a warmer vibe. Reds, warm grays and earthy shades of camel, rust, tobacco, brown-blacks and burnt yellow will take over the design scene for a sophisticated and rich look. 3. No more white or stainless steel sinks. Once again, warmer hues and grittier textures are taking over. 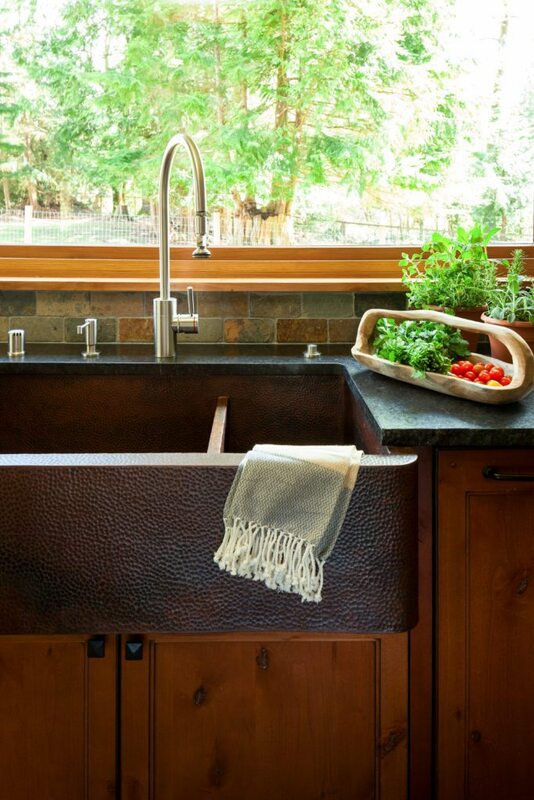 Houzz says designers will rely more on concrete, stone, copper and granite composite sinks in darker hues of gray, bronze or black. 4. Florals make a comeback. Floral prints sometimes get a bad rep (thanks, grandma), but this year they’re coming back in a bold and fashionable way. Houzz suggests going botanical in high-contrast colors such as black and white or teal and gold and over-sized blooms. 5. Vintage lighting. 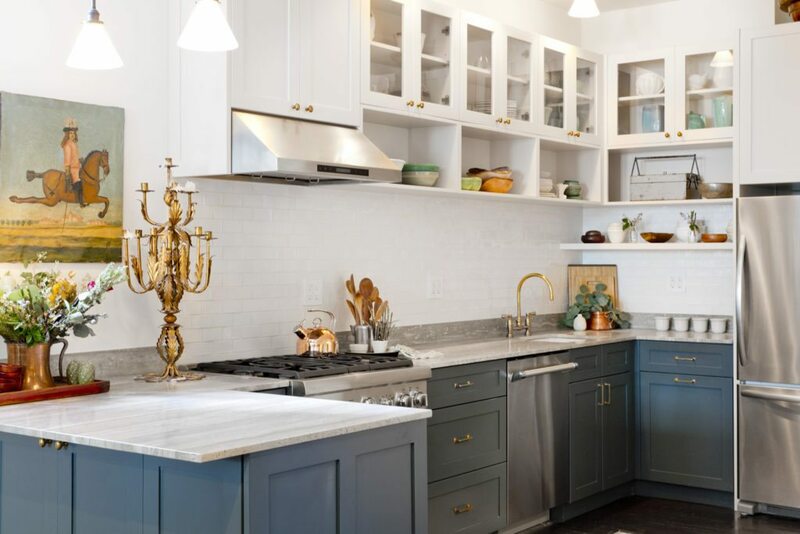 Homeowners are gravitating toward vintage-style fixtures, such as aged copper pendant lights, as an unforgettable focal point for the living room or the kitchen. 6. Trough or bucket sinks. No need to worry about water splashing all over the floor with these deep, wide and durable trough or bucket sinks. Beyond their functionality, they fit in with the continued farmhouse-style home design trends. 7. Concrete accents. Move aside marble and granite! 2018 is concrete’s time to shine. 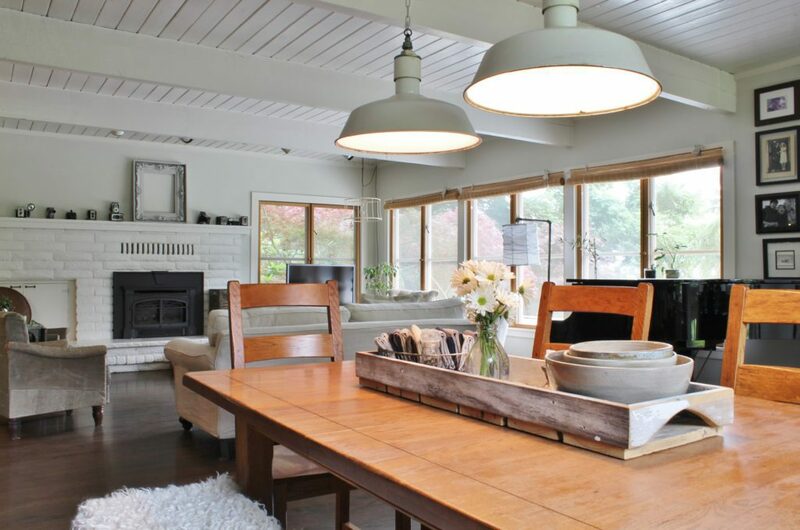 According to Houzz, concrete has always been a popular material choice. But homeowners will be taking it beyond the floors and countertops and using it in furniture, decorative accessories and wallcoverings. 8. Millwork feature walls and detailing. If you’re not a fan of shiplap, I have bad news for you — it will be sticking around for 2018. 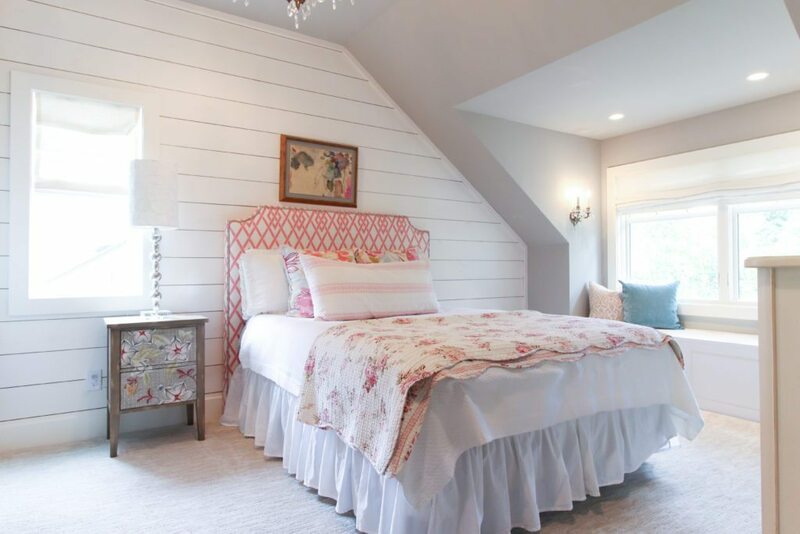 Shiplap along with millwork panels and reclaimed wood boards will be a popular alternative to paint and wallpaper for the bedroom. 9. Wallpaper-like backsplash. 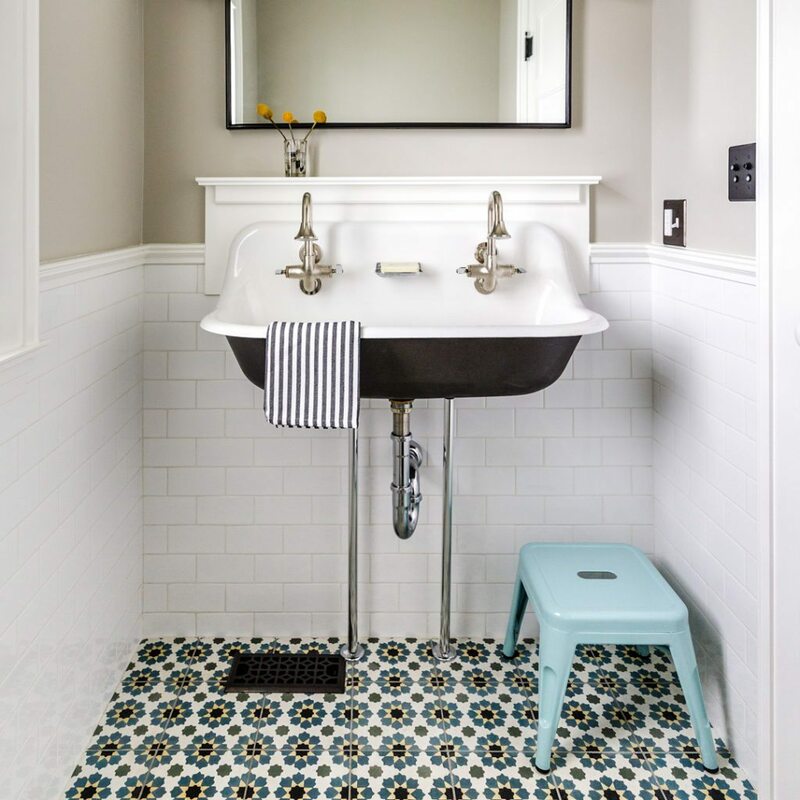 Ditch the subway tiles, and opt for tile that looks like wood, concrete, resin, fabric and even wallpaper, says Houzz. You’ll get the freedom of design seen in wallpaper matched with durability and ease of maintaining tiles. Score! 10. Casual and calm modern bedrooms. 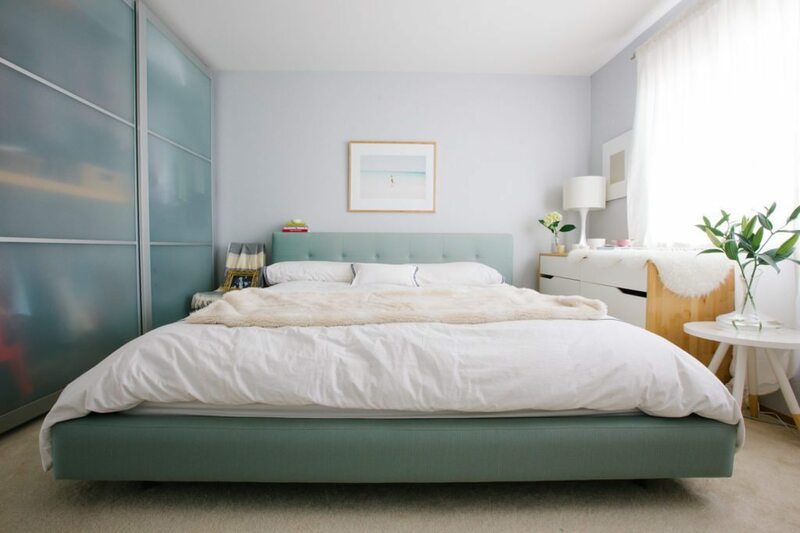 Last year’s bedroom trends centered around bold and dark colors, such as raspberry and black, but this year will bring about a more serene vibe. Homeowners are opting for a minimalist look centered around soft neutrals, delicate fabrics and simple, functional pieces.